ChocoCado. 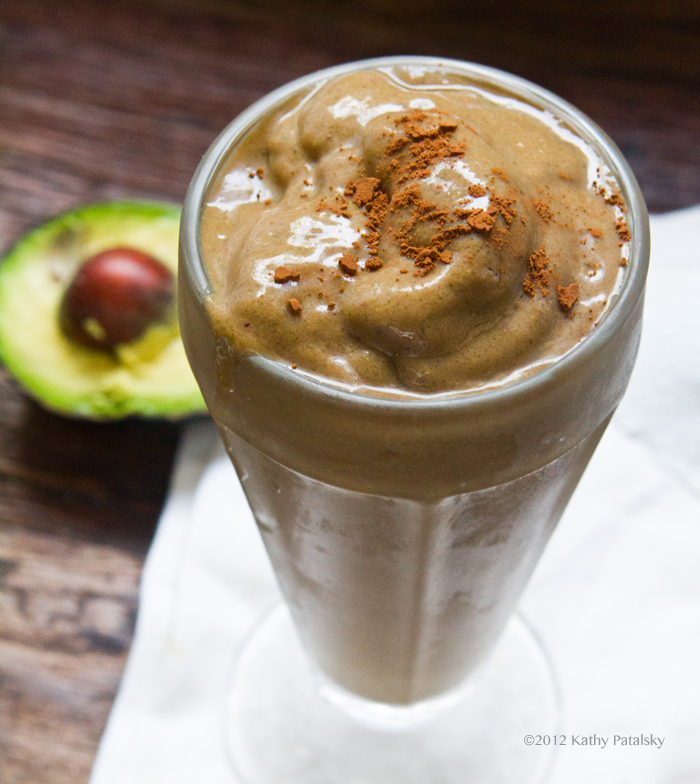 Chocolate Avocado Smoothie. Protein-Infused. On super busy days, sometimes I just need a really easy boost of energy to keep me powering through the day. I love smoothies for this type of craving. 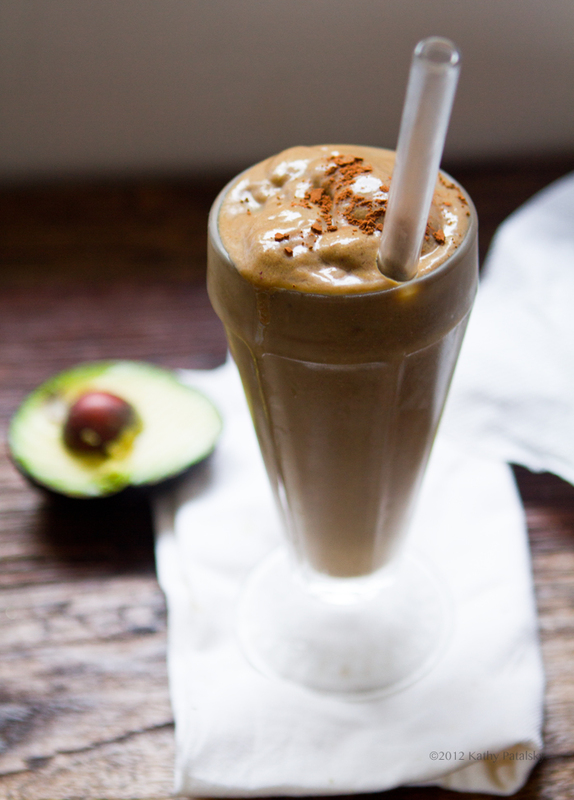 And smoothies with avocado are pretty fantastic. My smoothies need to satisfy in two ways - 1) they must taste amazing! 2) they should make me feel good from the inside out. This creamy chocolate shake does both those things. Into the Vitamix. 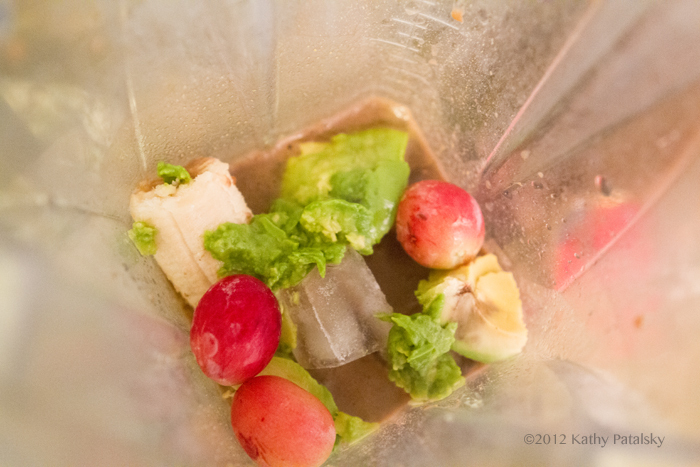 I added a few frozen grapes too..
You could also add in a handful of greens like kale or spinach. 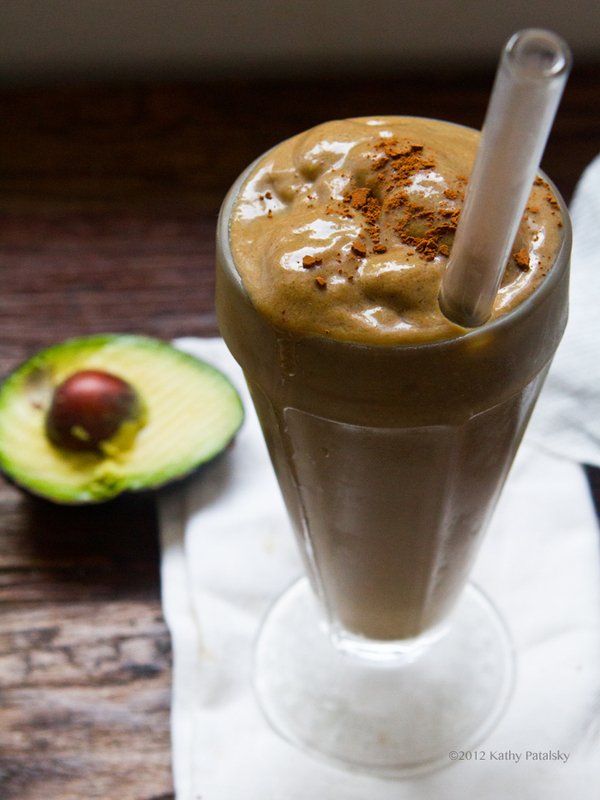 The greens blend very well into this chocolate shake! 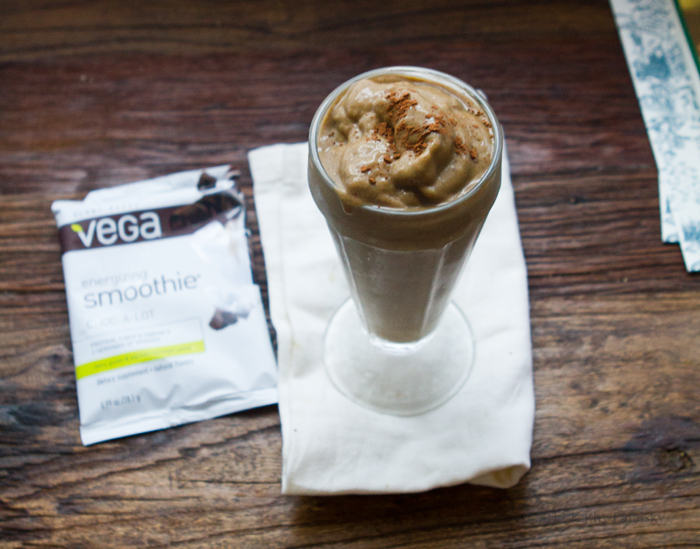 For my shake, I used Vega's energizing chocolate protein powder, but I have a modified recipe version for you as well. * If you do not have VEGA's chocolate shake powder you can use your own vegan sweetened chocolate-flavored protein powder. Or go protein-free too.